Friday 1/29/16 ~ Remember, NO SCHOOL for kids! And in recent league news, Chelsea Laden from Minnesota was a part of the first league trade. Why is this important? Our girls need to know they can do or be anything. 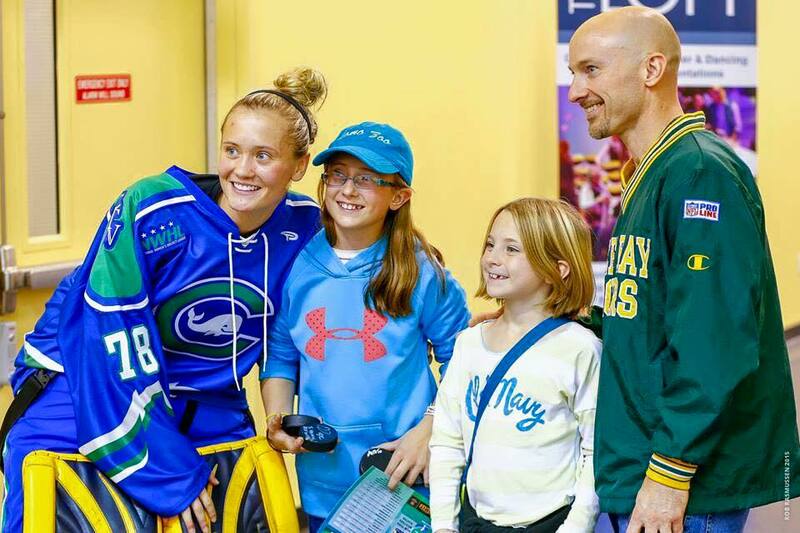 Pictured are my daughters and Chelsea at the first NWHL game. Did you know? The Disney movie Inside Out makes an excellent connection and extension to Second Step. It works well with Empathy and Emotion Management. The movie is PG and would take some leg work on my part to work it out. Want to know more about Second Step? Anyone can create an account at: www.secondstep.org contact your child’s teacher or Mr. Martinson for an access key. QR Code Reader App (iPad/iPhone): Qrafter. Year is Space wraps up in March! Right now there are six episodes available. If you find this relevant for your kids, please do share and view! They are amazingly well done. Here are episodes 3 and 4.